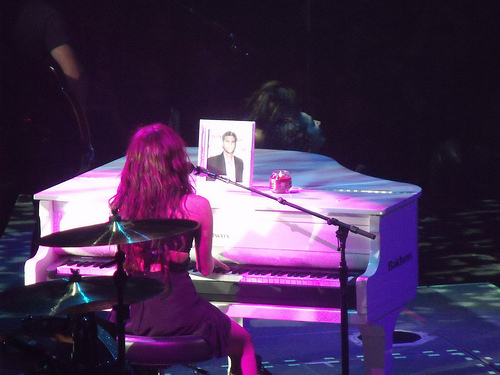 Cutie Miley Cyrus brings out a candle and photo during “When I Look At You“. I think it could definitely be Liam. i could understand this if it was a dead person but wtf lol it makes me wanna laugh a little. Dont get me wrong, i love miley. Just a bit odd, dont you think? So What’s the Deal with Miley and Liam? Miley Cyrus: Low-Key Romance with liam?